Nick Fluellen joined Marcus & Millichap in 2004 as a multifamily agent focused exclusively on assisting clients with the acquisition and disposition of multifamily properties. Since then, he has successfully closed more than 275 transactions totaling more than $1.4 Billion in value. He works closely with all types of investors and successfully leverages Marcus & Millichap’s unique national platform to achieve unparalleled results for his clients. Over the years, he has developed a strategic process that is flexible, efficient and most importantly, effective. Along with his market knowledge, he utilizes his vast network of industry contacts to provide his clients with the most accurate and up to date information regarding current market conditions, allowing his clients to make informed decisions about their real estate investment needs. He has also assembled a team of highly qualified real estate professionals to assist clients throughout every aspect of the transaction process. His continued success and track record for helping his clients to maximize their returns has garnered him numerous accolades, both locally and nationally. He has received nine National Achievement Awards and Sales Achievement Awards, and has perennially been recognized as a “Heavy Hitter” by the Dallas Business Journal and a “Power Broker” by D CEO Magazine. 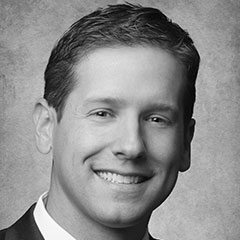 Fluellen earned his CCIM designation in 2007, a difficult accomplishment that demonstrates his commitment to self-development. He also has a master’s degree from Texas A&M University in Land Economics and Real Estate (LERE), as well as an undergraduate degree in marketing. He is also a licensed broker with the State of Texas. He is married to Brianna, who is a dentist in Richardson, Texas. They are active members of Canyon Creek Country Club. They have three children, Brady, Rhett and Eva and attend Watermark Community Church in Dallas. Fluellen is also an avid sports fan and enjoys golf, softball, basketball, and running.